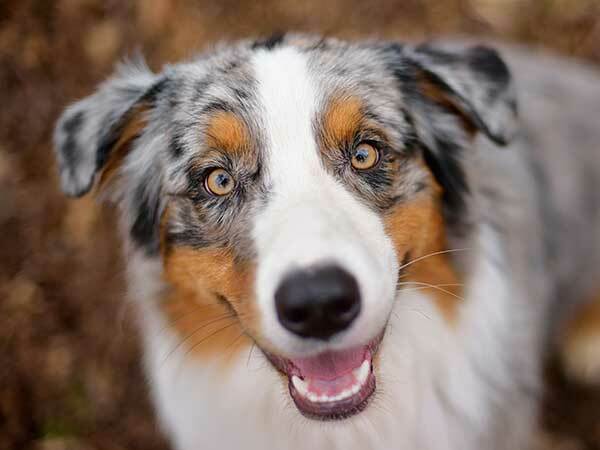 Home > Australian Shepherd Health > What Is Collie Eye Anomaly? Collie eye anomaly is an inherited condition that is commonly found in Collies but can also occur in other herding breeds including the Border Collie and Australian Shepherd. CEA is present from birth and can lead to other eye abnormalities that may result in vision impairment and even total blindness, so it is important to have puppies examined within the first five weeks of life. CEA occurs when there is abnormal development of the eye due to mutation of a particular chromosome. The recessive gene that causes this mutation must be inherited from both parents; therefore it can be managed by breeders through careful examination and DNA testing. Even if breeders have been careful, though, it still makes sense to have all puppies examined before they turn six weeks old, when development of the natural pigment at the back of the eye may mask symptoms. The most common form of collie eye anomaly is called choroidal hypoplasia. This is a lack of development of the choroid, the layer of blood vessels and connective tissue between the retina and the white of the eye. CH doesn't usually cause vision impairment but it does indicate that the dog is a carrier of the CEA gene. Colobomas are more serious forms of CEA that are characterized by depressions, or holes, in the sclera, often near the optic disk. These holes can cause vision impairment or retinal detachment, which may lead to blindness. It can be difficult to diagnose CEA as some dogs won't develop any outward symptoms until their vision becomes impaired. Because CEA can often be detected early, it is imperative that you take your puppy to a veterinary ophthalmologist within the first five weeks of life. The sooner you can get a positive diagnosis, the better your chances of avoiding future cases through breeding. Though there is no cure for collie eye anomaly, there are potential treatments for some of the more serious forms, provided the condition is diagnosed early enough. With colobomas, surgery may be possible to minimize the effects of the disease. Laser surgery, retinal reattachment and cryosurgery, which destroys affected cells or tissue by freezing them with liquid nitrogen, have all had some level of success in preventing retinal detachment. In milder cases of CEA, treatment may not be necessary as the disease is not likely to progress. Still, it is helpful to know of its existence so that you can be on the lookout for any signs of vision impairment and help your dog to cope. Fortunately, as dogs rely more heavily on their senses of smell and hearing, vision loss is usually not a major issue and they are able to cope fairly easily. With herding breeds like the Australian Shepherd, however, vision can be extremely important as they need to detect subtle movements from great distances. They tend to have highly developed peripheral vision to allow for this, so anything that takes away from that sense can greatly affect their ability to do their job. Though collie eye anomaly generally affects fewer than 1% of Aussies, it is still a concern, particularly for breeders. CEA can be a built-in threat to your dog's vision so the sooner you get him examined and diagnosed the better. 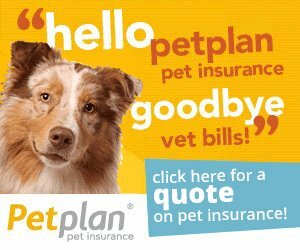 Don't take chances with your dog's eyes; have your vet check for CEA while he's still a puppy and keep him seeing clearly throughout his life.